A Master Plumber's Answers to Your Plumbing Questions. 2. Go with a company that charges a flat fee for each service. These companies know their business and the amount of time that each problem should take to fix. The cost may seem higher up-front. However, you will not get any hidden surprises. 3. Insured. Make sure they have the proper insurance that is required by your state and town. The licensing usually requires insurance. It is still a good idea to check and make sure. 4. Read online reviews from sites like Yelp, Angie's List, BBB online, or call your local BBB. 6. Length of time in business. A plumber that has been in business for more than 10 years is a huge plus. The plumbing business can be difficult and the ones that have lasted usually provide great service. 7. Clean Business and Trucks. Plumbing can be a dirty job and that job can make your house a mess. The plumber with the clean truck and building has pride and he will take that same pride into your home. To be sure ask the company what steps they take to protect your home from dirt. 8. A warranty of 6 months to 1 Year. 9. One that answers the phone or has someone to answer the phone. 10. 24 Hour Emergency Phone Number and Service. Brizo faucets are manufactured by the Masco Corporation, which also makes Delta Faucets, Peerless Faucets, and Hansgrohe Faucets. Question: How Do I fix a broken handle on my plumbing shut-off valve? How Do I fix a broken handle on my plumbing shut-off valve? the handle just broke off and the stem seems to be stripped. I'm going to suggest a non-traditional fix for this problem. There is a new universal handle that will fix your broken plumbing handles. The product is call the "Mandle". The Mandle is the only truly UNIVERSAL REPAIR HANDLE in existence. For the first time ever your customers have a choice to buy one handle that will fit ALL valves. The Mandle is made of stainless steel and nickel plated brass that won't rust or corrode. 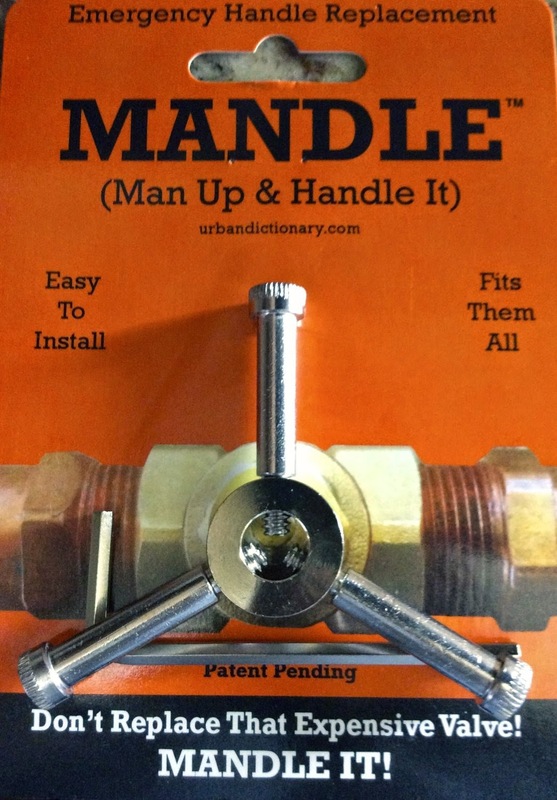 Every homeowner, maintenance or handyman, farmer/rancher or do-it-yourselfer, needs The Mandle. Save hundreds of dollars. BE THE MAN instead of paying THE MAN. The Mandle is a Universal Repair Handle constructed of non-corrosive stainless steel and nickel plated brass. The product uses three durable screws that pass through a brass cylinder that bite into the valve stem. The Mandle will fit on square or round replacement stems, hosebibs, and washing machine valves. The Mandle is simple to install so a plumber or handyman is not required. For the pro the Mandle will save you time and money. You can stop keeping multiple handles and valves in your truck and you can fix virtually any broken valve handle with this simple but brilliant tool. You can purchase this plumbing gem on Amazon.com. Delta Ara™ Faucets are new for 2014. The line of faucets will be released in late 2013. The collection features defined geometric angles and edges. Delta's Ara™ Bath Collection creates a streamlined look of contemporary elegance with a full product offering in both enclosed and water fall style channel spout options. 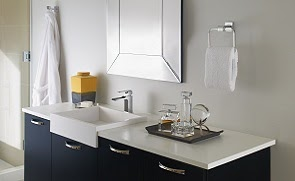 Offered in contemporary chrome and Brilliance® Stainless finishes, the Ara™ collection features a large range of product including single-handle and two-handle widespread and wall-mount faucets; 14, 17 and 17T series tub and shower trims; handshowers; and 3- and 4-hole Roman tub faucets. Additionally, 1-handle vessel riser option and enhanced coordinating accessories including a 24 inch double towel bar, universal mount tank lever and 30 inch towel bar are also available. Indulge in the remarkable style of Pegasus, for your kitchen or bath. Pegasus products include their signature faucets, along with distinctive bath accessories and furniture, vanities, mirrors, pedestal sinks, toilets and kitchen sinks. Designs range from the timeless and traditional to the sleek and contemporary. Grohe's Parkfield® Line is innspired by nature, the lever has a fluid form that is reminiscent of a leaf, while the protruding underside resembles the shape of water held below a leaf by tension until it finally drops to the ground. 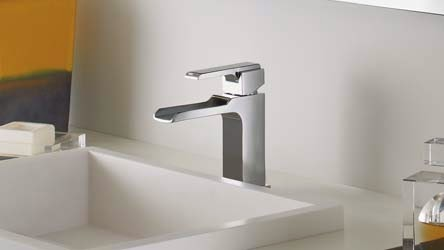 The increased organic volume of the lever gives the faucet a more tactile feel that improves usability and set to precisely 7 degrees, it invites interaction while boldly communicating the GROHE brand DNA. Parkfield™ flows effortlessly like water itself and, like the arching curve of a water fountain the spout guides water to the perfect position for function and comfort. Delta's In2ition® Shower Head is 2 Showers in One. 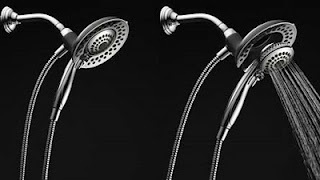 The Showerhead features a handheld shower that is detachable. 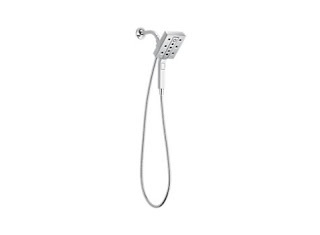 You can utilize the comfort of water streaming from the showerhead position. The hand-held shower offers you the options for other tasks, such as bathing children, pets, and to rinse hard to reach areas. When your shower is complete the handshower goes right back in place into the showerhead for a clean look that will be the envy of your friends and neighbors. The Delta Leland 19978-sssd-dst Kitchen Faucet is one of the most popular faucets from Delta in 2012. 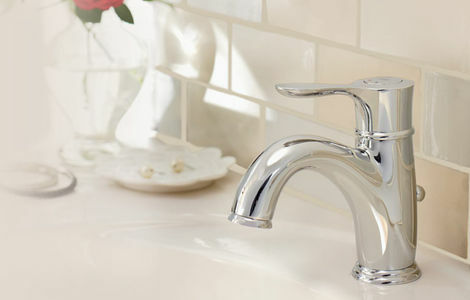 The faucet features acharming teapot-inspired series of faucets for the entire home. Timeless design is a perfect marriage of both form and function. The Danze Opulence D306257RB Oil Rub Bronze Two Handle Centerset Lavatory Faucet is a discontinued item for 2012. The Kohler Fairfax K-12265-4-G Widespread Lavatory Faucet is Discontinued for 2011. The Kohler Devonshire K-393-N4-G Brushed Chrome Centerset Lavatory Faucet is Discontinued for 2011. For traditional styling and easy installation, take a close look at the Devonshire two-handle lavatory faucet for 4 Inch centers. This faucet is designed with a one-piece, self-contained ceramic disc valve that exceeds industry longevity standards two times for a lifetime of durable performance. Premium material construction and an extensive selection of scratch-, corrosion- and tarnish-resistant Vibrant PVD color finishes provide reliability and lasting beauty. The Kohler Memoirs K-452-4S-AF French Gold is Discontinued for 2011. 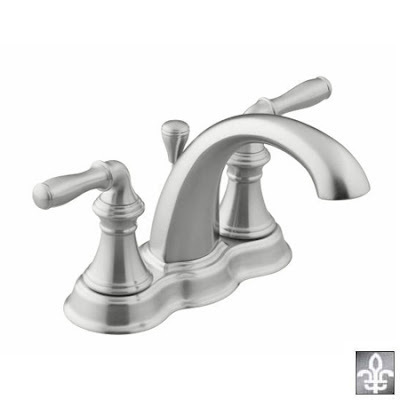 The Memoirs centerset lavatory faucet with Stately design and lever handles The Memoirs centerset lavatory faucet with Stately design and lever handles features crisp lines and soft curves in one symmetrical piece for easy cleaning. Additionally, washerless ceramic valving exceeds industry longevity standards two times for a lifetime of durable performance. 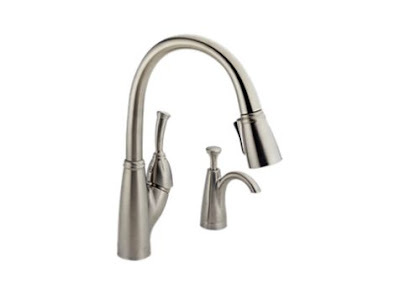 This faucet includes handles, spout, aerator and pop-up drain with 1-1/4" tailpiece. Two-handle centerset lavatory faucet for 4" centers Solid brass construction for durability and reliability KOHLER finishes resist corrosion and tarnishing, exceeding industry durability standards two times Completes Memoirs design solution with KOHLER fixtures and accessories Part of the Memoirs faucet collection Low-flow aerator option available (please see latest price book). 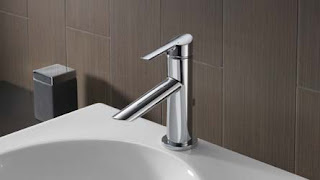 The Kohler Devonshire K3944G Brushed Chrome Widespread Lavatory Faucet is Discontinued for 2011 by Kohler. For traditional styling and easy installation, take a close look at the Devonshire two-handle lavatory faucet for 8 Inch centers. This faucet is designed with a one-piece, self-contained ceramic disc valve that exceeds industry longevity standards two times for a lifetime of durable performance. Premium material construction and an extensive selection of scratch-, corrosion- and tarnish-resistant Vibrant PVD color finishes offer durability and years of beauty. The Kohler Memoirs Classic K-454-3C-CP Polished Chrome Widespread Sink Faucet with Cross Handles is Discontinued for 2011. Timeless elegance fortified with classic influences characterizes the Memoirs widespread lavatory faucet with Classic design and cross handles. Available in an array of durable KOHLER finishes, the faucet includes handles, spout, aerator and pop-up drain with 1 - 1 / 4 Inch tailpiece. Handles come pre-assembled on the valves to simplify installation and fluid design lines ensure ease of cleaning. 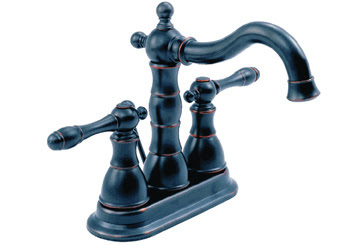 The Kohler Memoirs Classic K-454-4C Widespread Sink Faucets have been Discontinued in 2011. Timeless elegance fortified with classic influences characterizes the Memoirs widespread lavatory faucet with Classic design and lever handles. Available in an array of durable KOHLER finishes, the faucet includes handles, spout, aerator and pop-up drain with 1 - 1 / 4 Inch tailpiece. Handles come pre-assembled on the valves to simplify installation, and fluid design lines ensure ease of cleaning. Model Numbers: K-454-4C-CP Polished Chrome, K-454-4C-BN Brushed Nickel, K-454-4C-BV Brushed Bronze, and K-454-4C-AF French Gold all have been Discontinued by Kohler. The Kohler Memoirs K-470-4C Bidet Faucet is Discontinued for 2011. Timeless elegance fortified with classic influences characterizes the Memoirs bidet faucet with Classic design and lever handles. You can rely on washerless ceramic valving and solid brass construction for years of durability and reliability. 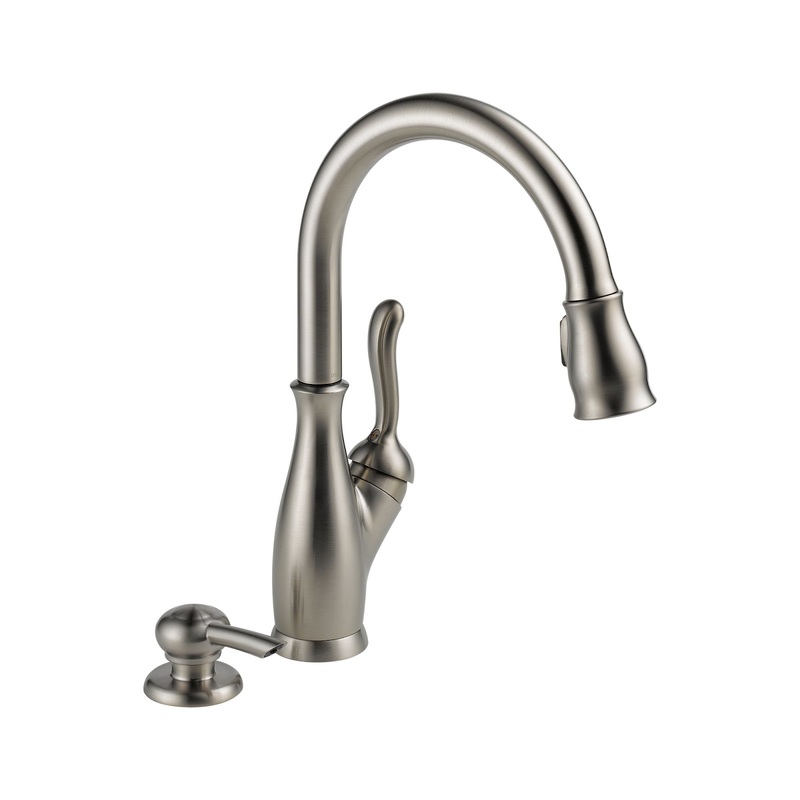 The faucet includes a vertical spray, handles, a fixture-mount transfer valve/vacuum breaker, a pop-up drain with 1 - 1 / 4 Inch tailpiece and a flexible stainless steel supplies. Washerless ceramic valving and solid brass construction for years of reliable use. The ProAvatar kitchen sink faucet is Discontinued for 2011. The KOHLER Professional sinks and faucets collection and inspired by professional kitchens, the ProAvatar faucet combines custom, commercial style with a highly functional, task-oriented design. An ergonomic sprayhead with fingertip toggle fits into the palm of the hand to work with natural hand motions. The graceful, high-arch spout and 16" height above the sink deck provide ample room for cleaning pots and pans. Toggle easily between a soft, aerated stream for filling and rinsing or a functional, cleaning spray. For single- or three-hole application. Kohler Bellhaven K115514 Polished Chrome Widespread Lavatory Faucets are Discontinued for 2011. Inspired by the architecture of the early 20th century, Bellhaven faucets put a contemporary spin on traditional design, blurring the line between antiquity and modernity. Smooth, elliptical forms create a classic aesthetic reminiscent of early American prairie life, while elongated contours establish sleek sophistication. My Kohler Toilet Will Not Stop Running. Help! Using PEX piping will it reduce the flow?